Welcome to Island drafts. This blog is dedicated to writers and writing, stories in all their myriad forms and styles, reviews and informed opinions. Re Trisha's post below regarding Writers Groups. Writers Groups are a valuable resource and an antidote to the feeling a writer sometimes gets of being stuck on a solitary road. Writing for others to read is by definition a communal act, with the writing coming alive in the reading, in the communicating of ideas and experience. So here are a few thoughts from experiences in writers groups, my own and those shared by contacts. I've sorted them under three categories. • If you come upon a teaching point, say you’ve done some serious research and learning in Point of View, or Narrative Structure, keep it specific to the text being critiqued then expand into your wider knowledge if asked to. Don’t patronize the writers, or assume you know far more than they do. Make your points quietly, succinctly. • Get over yourself. Yes you have an opinion or maybe a pet peeve, but don’t bang on and on about it every meeting, to the point where you’re just repeating yourself. That’s badgering, not critiquing. I’m talking mainly about getting too fixated on letting the world know what your opinion is, not so much about the opinion itself. If you have a serious problem with adverbs or fancy attributions then say so, that's a valuable technique point, but remember to talk about why, pointing out specific examples of where and why you see them as weakening the text. • Re the point above – be as exact as you can. Instead of saying ...well I can’t stand flowery language....point to specific words or phrases you define as flowery and what you mean by that and how you feel that negatively impacts on the writing/reading experience. I read a line in a book once that said ‘I repeat,’ repeated Alex.' That’s a tautology, clunky, and possibly unnecessary all in one hit. Be exact in your analysis. • Remember you have the breadth of the writing world at your disposal. If you have an issue with a particular technical point in a writer’s text, consider bringing an example from an effective use of the issue you’re discussing and quote from it, by way of illustration. • Avoid sweeping generalities. ... Well, I don’t really like women's fiction...well I suppose that’s the kind of thing the blue rinse set would like...etc. That's too general to be helpful, and a bit of a cop-out, and can be offensive as well. Stories are individual entities, read by individual human beings, both within wider contexts. Speak to the text and the individual at hand. • Listen with intent, with your writer’s mind primed to learn. Be careful of just sitting with your foot tapping, waiting for a break in their analysis to then just justify yourself or what you’ve done. Remember, they’re responding to your text as written, not everything you know about your text and your totality of ideas and character insight. • Sometimes critiquers may be too subjective and be speaking from personal biography or pet fixations or things that – for their own reasons – disturb them. Just listen, thank them and move on. Don’t harangue them or try to change their world view. It isn’t worth it. • Don’t lurch. You may well be centered in your story and have a sense of its inner emotional core and the core of your characters. Or you may not. But don’t lurch way off in a different direction, change your protagonist from male to female, make your librarian a gun-toting kick-arse, change your 40 somethings to teens because ‘teen stuff sells at the moment’, just because someone says so. Consider suggestions. Consider them. 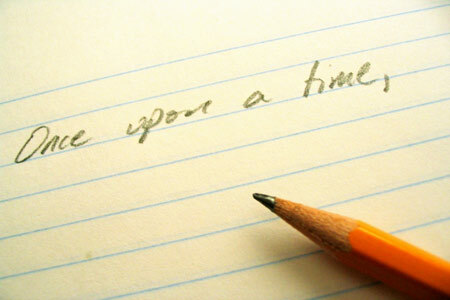 But ask yourself, what is your story about, why do you want to tell this character’s story, who are they? You own that. Often problems are smaller and much more technically based than you might think, and the answer isn’t wholesale change. Remember it’s your story, even if you appreciate your audience’s needs it’s still your story, at least until you sign it off and it goes out into the wider world. • Appoint a timekeeper for each meeting – rotate the task if necessary. Divide the time you can afford to spend at the meetings by the number of writers who’ve submitted, then stick to that allotment. Be very careful of ‘dawdle then rush’ syndrome, where the first couple of critiques are expansive, then (because you’re running out of time) rush the last couple. The later writers will not be happy – with good reason. In the meetings separate the chat from the critiquing. Use informal chat to relax you for the focused work of writing analysis and discussion, don't let chat seep into the writing discussion. You don't want people crying off because the meetings have got too long. • Get to know each other and get comfortable through the process of looking at and talking about the work submitted. Don’t wait for trust and comfort to develop. This is crucial. You might wait a very long time for the magical moment when you’re all comfortable enough with each other to critique honestly and openly. It's an ongoing process, and only becomes more effective through focused, work-oriented practice. • Everyone’s opinion has equal value, but not necessarily equal weight or insight. That’s just reality. • Encourage everyone to do their share of the work. Be responsible and pro-active and make sure you don't attend looking to get feedback then make some excuse as to why you haven’t given it in return (too busy, their writing is too different/genre specific for you to comment on.) Sometimes you will be too busy, that's life. If you are, opt out of a meeting or feedback cycle. But not consistently. • Do not allow excess volume or aggression any place. People are passionate about writing, sure, but be aware of boundaries. A serious insight would still be a serious insight even if it was whispered, or written in very small text. Police this, as a group, be honest and frank about it. • If you’re planning on meeting face to face, as opposed to entirely online, then set a workable time frame for submissions. Say 2 weeks before the meeting. One week minimum. Give everyone time to do a close reading and formulate a considered, informed analysis. You'll learn as you go, and learn to make adjustments when necessary. Remember that group members are humans just like you, and both their text and their beings are worthy of your respect. As peers, part of that respect is a responsibility to help them. Often with group critiquing there's a new or extra insight that no one person (including the original writer) walked into the room with. The whole process isn't a perfect science, and you may have your ups and downs, but peer-to-peer critiquing is a very productive way to improve your writing and the writing of those in your group. "Talk about the text as a thing in and of itself, even if you feel that speaks to the writer’s background and philosophy as well." Thank you for this blog. I especially liked the sentence of yours I have quoted above. I am looking forward to dropping by often. Also wanted to add, that for me a dash of humour goes a long way in the whole process. Breaks in the symbolic chain. Text and Subtext - what you read, what you read into what you read. The road out of isolation.